This impressive and well-preserved twenty room mansion was built for Bernardo Fernandez in 1894. It is the only significant house of this era and style extant in the City of Pinole. 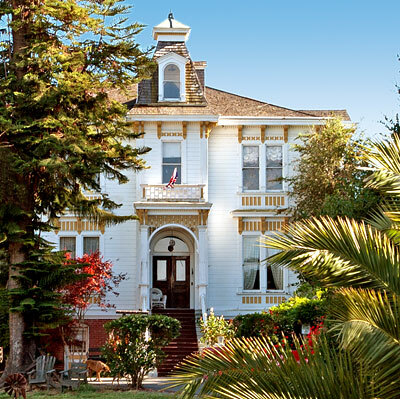 The eclectic design is similar to the San Francisco Style which combined Second Empire, Queen Anne, and Eastlake. On this site, beginning in 1854, Fernandez built the first operating industry in Pinole, a port complex consisting of wharves, barns, supply stores, and the Fernandez home. Pinole became one of the few landing ports east of San Francisco for freight, passengers and mail. The port town of Pinole became an important trading center in west Contra Costa County. The export of farm and ranch products attracted more settlers into the area. The port was both an outlet for the products of their labors and a link with othe Bay Area communities. By the early 1900's, Fernandez leased land to many immigrants who had no other means of getting a start in the West.